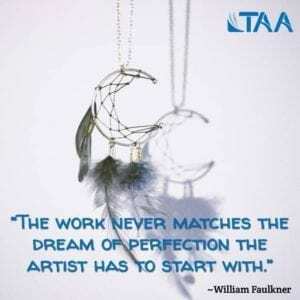 If you dream of perfection, your work will certainly reach levels of greatness. So as you go through the next week, believe in yourself (even if you aren’t writing in first person), find your source of support, identify your goals, and stretch your comfort zone. Follow the standards or create new ways of thinking. 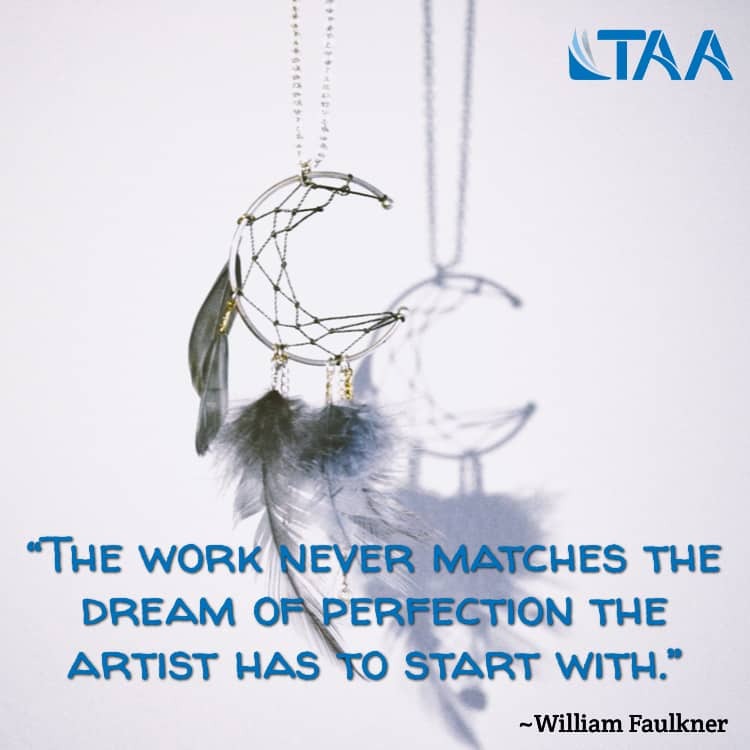 Whatever you do, dream of perfection, and happy writing! The majority of the people that voted in the poll use “I” in their academic writing. For me, this fact is rather surprising. In my field, it’s quite uncommon to use first person in our writing. I tend to use it in some of my reports, to emphasize that I did the calculations, but in most cases (as you may have noticed from the abstract that I’ve published on this blog) I leave myself out of my writing. Ideas are the currency of research. They find form in different ways – books, refereed articles, conference papers, data sets, industry reports, artworks, all sorts of things. But, in the end, it is your ideas that other researchers are interested in. By themselves, ideas can be hard to understand. It can be difficult to grasp how different ideas come together, or what effect they have had. A narrative can help to clarify all those things. It sets out what ideas you have developed, and why. It puts those ideas in context by talking about some of the projects that you have done, and some of the choices that you’ve made. It provides the reader with a path through your career, so that they can understand how you have developed your ideas. What do editors want to see in new submissions? Dr. Jennifer Leigh offers some insights in this post. She speaks from experience since she is the Senior Editor, Annual Review of Social Partnerships, Associate Editor, Business Ethics: A European Review, and the Associate Editor, Journal of Management Education. My plea is that this well intended message is received as such. May it not be received with anger, angst or discomfort, but rather begin to move you out of your comfort zone, and encourage you to take your seat at the table, find your voice, and share your perspective. Whenever people talk about concepts or theory, they usually add on another word – framework. And ‘framework’ can be as confusing as the concept or theory word that goes before it. (Check this recent post for the difference between concept and theory.) So what does this ‘framework’ actually mean? Peer-reviewed articles in scholarly journals are central to many academics’ publication strategies because they are typically required for tenure and promotion. Because they are so important, writers face steep competition for getting articles published. I asked Todd Bridgman, Management Learning co-editor, to offer advice for new writers. I’ve inserted screenshots from the journal’s home page to show where you might look to learn more about the journal of interest. The scholarly publishing value chain begins with research, moves to the act of writing, proceeds through manuscript submission, and then, if the publisher decides to take the project on, goes through a series of steps — production, marketing, sales, distribution — until the customer’s money is collected and is used to start the process all over again. That pretty much describes how it worked for the print world, and it held true for journals as well as books. When digital media came along, publishers attempted to re-create that value chain simply by inserting one format (digital) in favor of another (print). That worked to a considerable degree (what is often called the “crisis in scholarly communications” is in reality a cornucopia of intellectual riches), but it is now showing signs of breaking down.